floors if installed on the middle of the second floor. 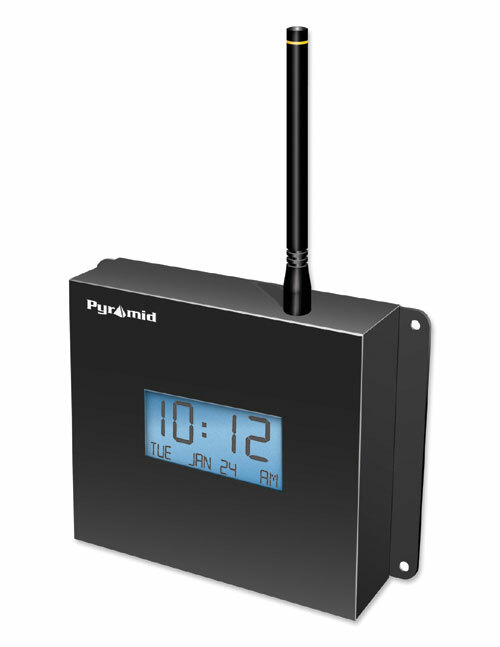 Designed to work with Pyramid child (or slave) clocks. 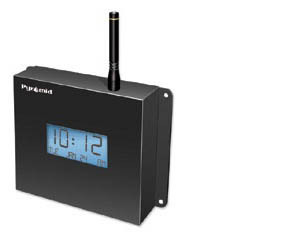 Available without the software, $600 less, use as additional transmitters within the same company. If you positioned this on the 3rd floor, it would transmit below, above, and around, up to 25000 feet. which then contacts the NTSP clocks on the internet. and run bells, buzzers, etc from the timer. For additional information or clarification, simply call us.